Dr. Saleh Mubarak, PE, holds a Ph.D. in civil engineering, with specialization in construction management. He has over twenty-two years of diversified experience as a civil engineer, cost estimator, scheduler, project controls manager, and professor. He has taught professional seminars all over the world. Dr. Mubarak is currently the head of the Department of Civil and Architectural Engineering at Qatar University. He is a leading authority in construction planning, scheduling, and project control, and the author of Construction Project Scheduling and Control. 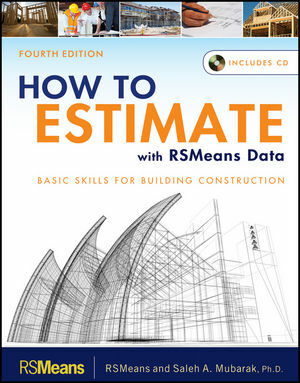 RSMeans, a division of Reed Construction Data, has been the leading publisher of construction cost data for over sixty years. The company provides products and services to more than 250,000 construction professionals throughout the United States and Canada.